A kit full of cuties! Elements come with and without drop shadows. 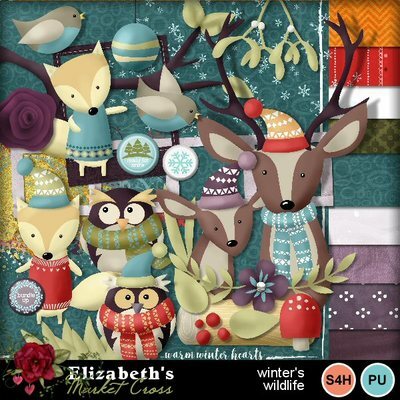 Foxes, owls, and deer are present in this kit of purples, teals, and oranges.